Ashton Symmetry | Chicago's Pipe, Cigar & Tobacco Store | Iwan Ries & Co. The anticipation has been building for over four years. 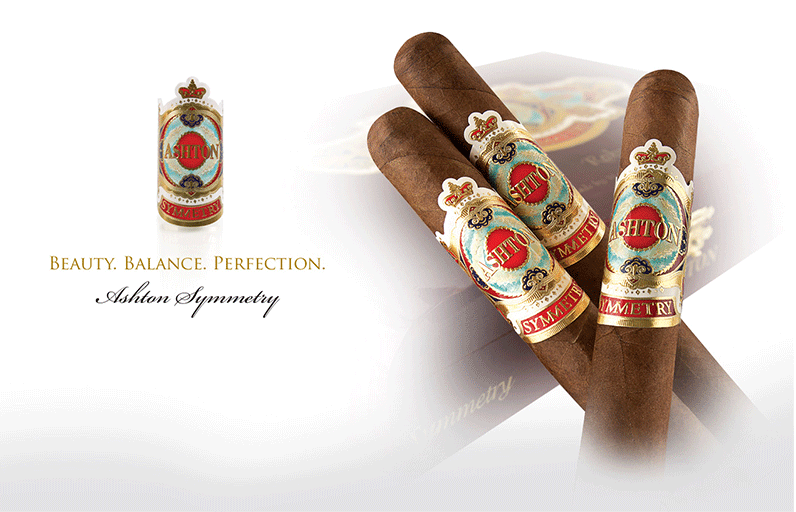 The long awaited release of Ashton Symmetry is finally upon us. Collaborating once again, Ashton and Arturo Fuente have teamed up to create a scrumptious, medium-bodied morsel. Originally, delays in the project occurred when fires broke out in Fuente’s factory, but this only motivated the Fuentes more to deliver another 90+ rated masterpiece. The first line released under the Ashton name since the Estate Sun Grown hit the shelves in 2006, it also serves as the first Ashton-branded cigar to contain Nicaraguan tobacco.